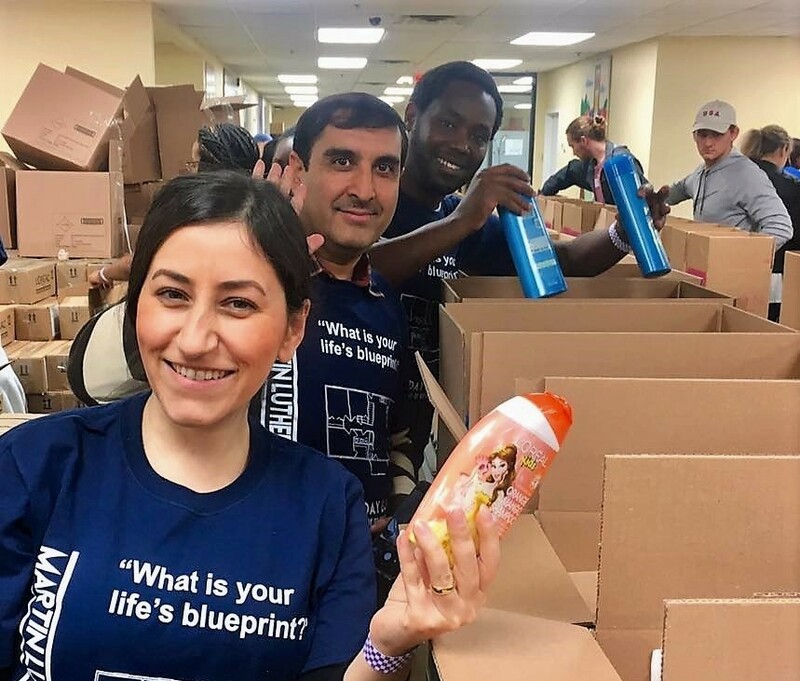 Humphrey Fellows from Vanderbilt University participated in the MLK Joint Day of Service, organized by Vanderbilt's Office of Active Citizenship and Service and several other universities in Nashville. Four hundred students and members of the Nashville community volunteered their time and efforts at one of 20 service sites. The Fellows chose to volunteer at Feed the Children, a non-profit organization focused on reducing childhood hunger through delivery of food, vitamins, and other daily essentials to at-risk families and children. They packed daily necessities in boxes that will be delivered to families in need across the Southern states. The Fellows also participated in the annual Nashville Freedom March in honor of Martin Luther King Jr. and his efforts for equality. The march began at Jefferson Street Missionary Baptist Church and ended at Tennessee State University. After the march, the Fellows attended the MLK Commemorative Series which provided interactive teach-in sessions covering topics such as Black Lives Matter, LGBT civil rights, microaggressions, and Islamophobia. Reflecting on the experience, Humphrey Fellow Asif Khan emphasized the importance of building a sustained culture of service learning; Gerard Ntiranyuhura concluded that service builds relationships; and Jenny Urrutia Viveros of Chile saw the experience as a historical marker and appreciated the opportunity to learn more about American history, culture, and values.